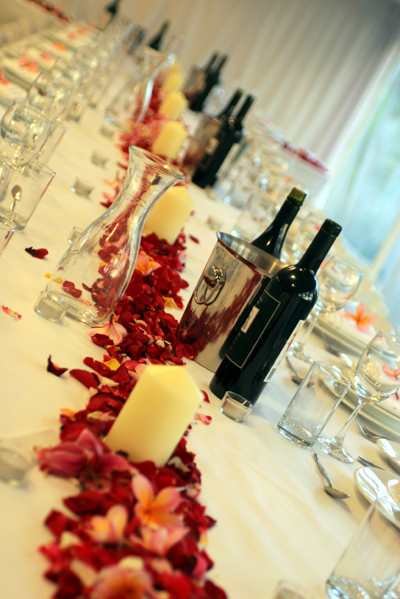 Hiring Services - wedding and event hiring in Cumbria! 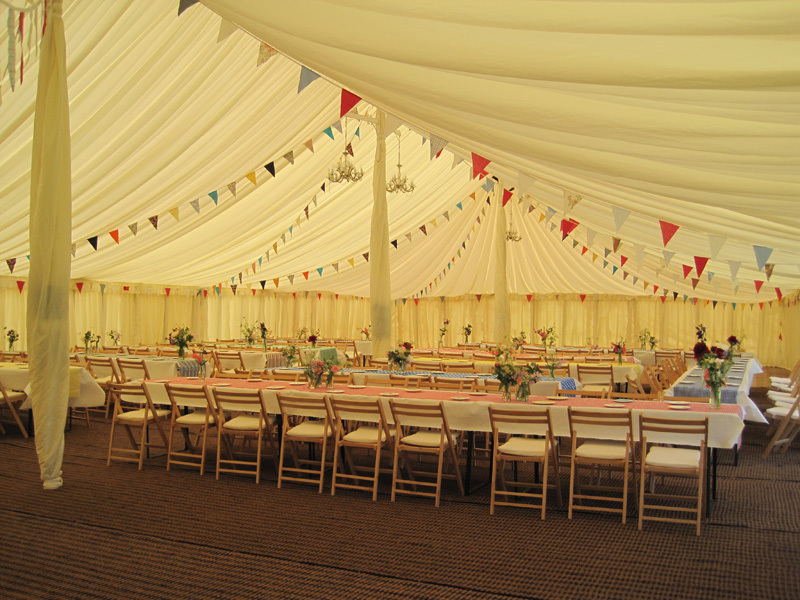 Our extensive hiring range covers everything and anything you might need for your function.We have experience in setting and designing as well as hiring so we can also come and make your room look stunning without you lifting a finger! Stunning vintage crockery, cut glass crystal candle holders, table clothes, cutlery, unique vases and coloured glass bowls, glass candle holders, jam jars, chalkboards, champagne saucers and much more! Our 'mix and match' vintage china crockery collection can be hired in and around Cumbria and is always a talking point of parties. 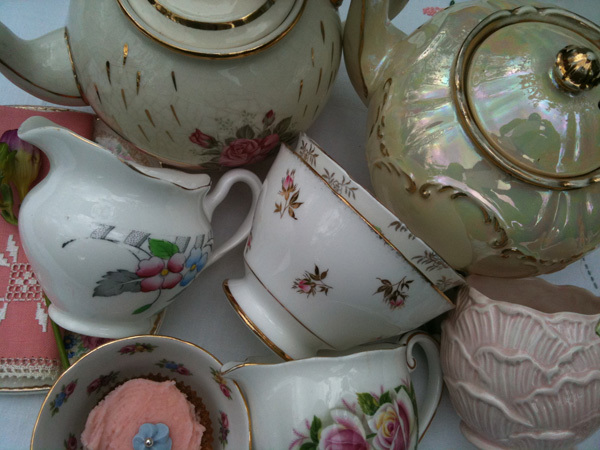 The range includes stunning tea cups and saucers, plates, cake stands, teapots, milk jugs and sugar bowls. Vintage weddings, English country garden parties, tea parties, christenings, baby showers, anniversaries, funerals, hen parties - virtually any occasion that don’s the need for some vintage finishing touches! Treat yourself and guests to a sumptuous cake or dessert table. Why not hire our vintage teapots and cups and saucers for your floral centrepieces? We work with many florists in Windermere, Bowness and the rest of Cumbria to create something truly unique for all of our events. We also offer crystal cut glassware including candle sticks, jugs, deep plates and bowls. The candlesticks are lovely for any party and on any table and really add some sparkle! To add some fun and frolics we can get your favourite sweets in – match these with our glass bowls and you have the complete sweet table! Your guests will love tucking into some flying saucers, sucking on some rhubarb and custard boiled sweets and reminiscing over a drumstick! Here at Sure to Surprise You we can order your sweets in from our retro sweetie supplier or you can simpy hire the bowls, dishes and jars and fill them with your personal choice. Our jam jars are great for wild flowers and look very pretty with some ribbon that can tone in with your colour scheme. Or you could pop a tea light in them and use them inside and out- they look fabulous! All of our wedding supplies can be hired out in Cumbria and the surrounding areas and are handpicked by Amy who tries her utmost to come up with simple yet gorgeous ways to add those finishing touches to your party. We are happy to source new things for our collection and our hiring fees are always reasonable. We have so many hiring items that we can't fit all the photos on the website so email us at info@suretosurpriseyou.co.uk if you wish to see any items!